Oh man, another tough vote. So many great projects this year! I’m gearing up to start a kitchen remodel next week but I’m doing it the easy way – just changing out stuff that is worn out. 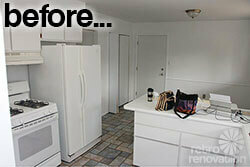 Floors, counters, and backsplash. But I’m still really excited! Another super tough choice! 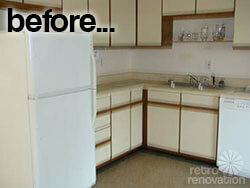 Each of these owners did a fantastic job and I love every one of these kitchens for its own special style. 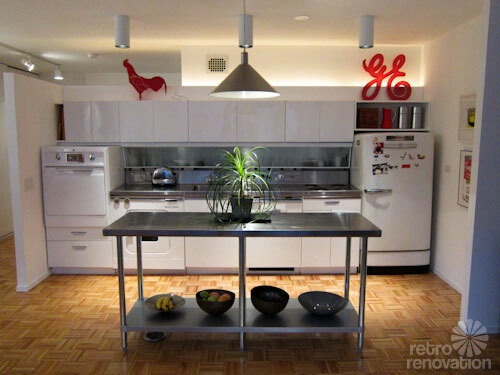 I went with Chris’ GE wonder kitchen because of its rarity, unique look and the way he conserved and restored, or repurposed when restoration wasn’t possible or the original function was not longer needed. I’d love to buy a unit in his historic building! Ingenuity, and bang for the buck. Loved all of the pictures. 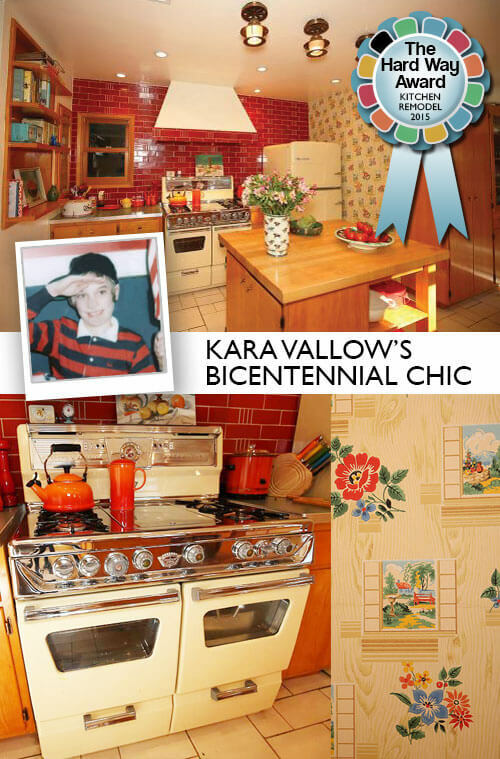 The Brady Bunch feel of Rebecca and Keith’s was appealing to me because I have that vibe in my own home, Turquiose is my house theme so loved both of those kitchens. Great job all! 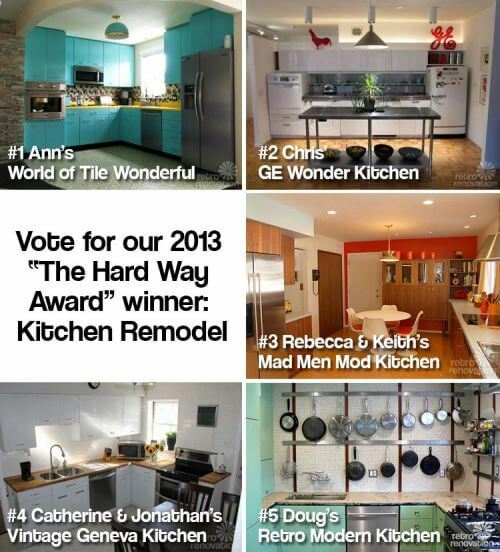 All of the remodels are great, but I have to go with Rebecca and Keith. Their kitchen is absolutely fantastic! 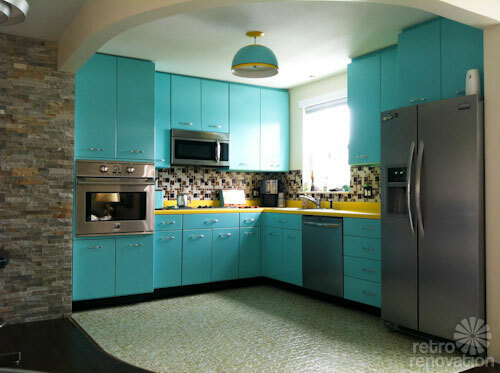 I love the design and the color scheme, but mostly I love how they stayed very true to the mid-century modern design of their home. 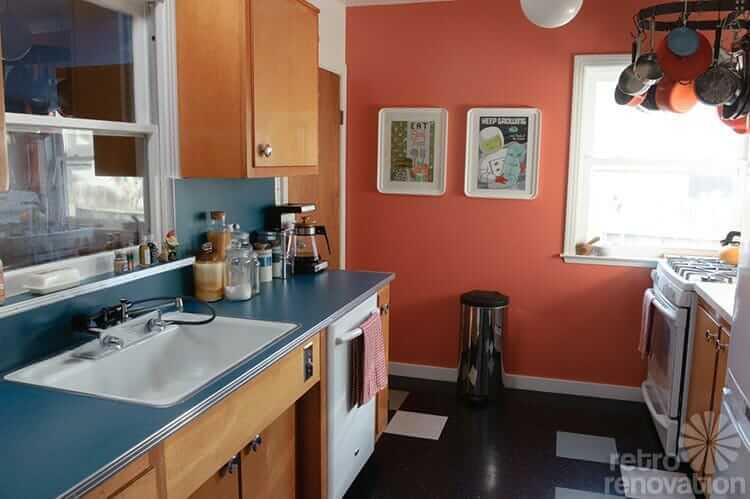 Their kitchen “fits” their home perfectly and doesn’t look like it’s trying to be something it’s not. 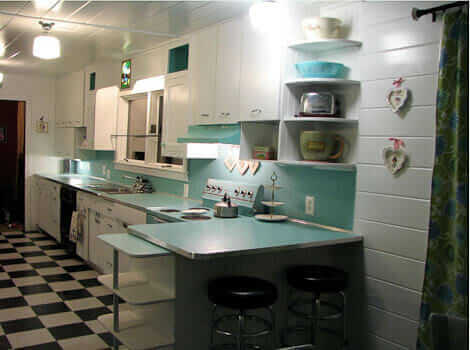 I was recently at a friends MCM home, (circa 1962) . 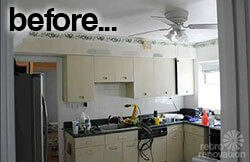 They had just had a kitchen/dining room remodel. 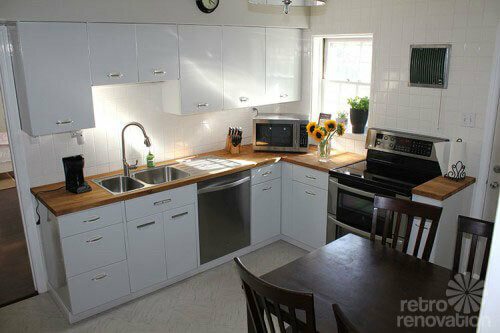 It was lovely, but it looked like a kitchen/dining room from a newly built home. It didn’t “fit”. 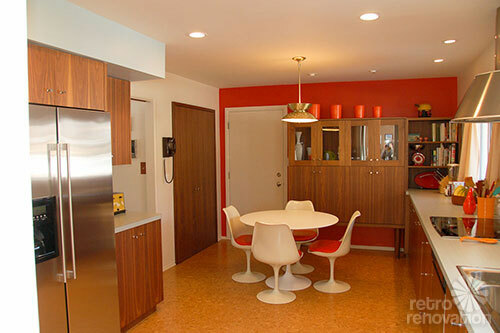 Walking from the kitchen into their wonderful perfectly restored MCM living room with all of its great 1960s furniture and fixtures felt like I was stepping from one era into another. 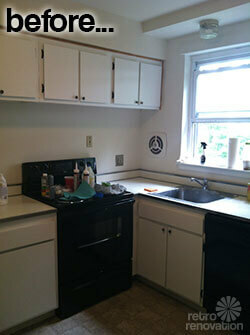 Keith and Rebecca did a beautifully appointed, no stone unturned, true MCM kitchen. 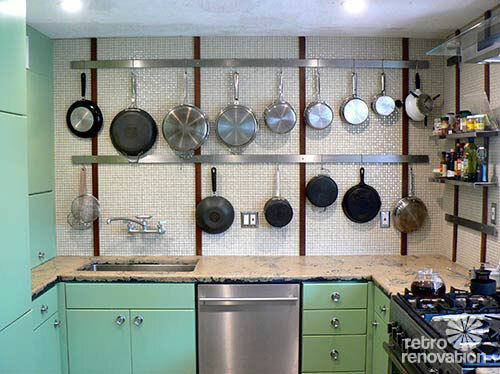 The tiling in Catherine and Jonathan’s Geneva kitchen was great though. I loved how timeless their scheme was – that grey-and-white would be more my thing, but in a way it’s sooo timeless it read as less immediately ZAP POW BAM vintage?